Many institutions across the nation have developed bridge programs in order to address the challenges of underrepresented and under-prepared students as they acclimate to a new campus and develop and acquire skills and knowledge for STEM success. These programs often include academic and career development as well as personal and social components. The examples below illustrate how various programs serve particular needs at their host institutions. Bridging programs are one of several mechanisms that can be used to recruit students to STEM disciplines in higher education (e.g. Gates and Mirkin, 2012; American Institutes for Research, 2012). career information, early on; some programs begin even earlier at the K12 level to ensure students know and find STEM disciplines and know about potential careers. Detailed descriptions of summer bridging programs including the background history and context, major program elements, student outcomes, and resources available for sharing. Grinnell College Grinnell Science Project - The program developed over several years, drawing on national studies and efforts, and aimed at addressing barriers to success in the sciences. It has involved curricular and mentoring changes, activities and structures that foster acclimation to college life and a community of scientists, and improvement of student achievement. Iowa State University Academic Program for EXcellence for Engineers (APEXE Program) - This program is designed to help support incoming first-year engineering students. The program teaches study skills, provides support for engineering content in a low- to no-stakes environment, and provides exposure to career fields and the different departments within the College of Engineering at Iowa State. Nebraska Wesleyan University Bridging program Summer Transition - The summer transition program serves matriculating minority students in STEM fields the summer before they arrive on the campus. It provides an opportunity for students to meet other students of color who will be with them on campus, and to become comfortable with the campus and community before school starts. Wartburg College PreOrientation Program - The goals of the program are to create a community of incoming American-Ethnic students in the STEM fields and to introduce these students to our peer mentors and science faculty members and various other programs and offices that will serve as resources while they are on campus. Doane College Bridge to Science Program - The Doane University Bridge to Science and Mathematics Program is designed for IINSPIRE-LSAMP eligible first-year minority students interested in science, engineering, and mathematics majors and any women interested in physics or engineering to aid in the transition from high school to college. It is a summer bridge program for high school students matriculating into Doane University with an interest in STEM fields. For each institution below, click on "Show" to see a list of program components or objectives. Links to associated resources including program brochures, reports, or web sites are included where available. Barnard College - Hughes Science Pipeline Project (HSPP) funds summer classes in chemistry and math for students enrolled in Barnard's Higher Education Opportunity Program (HEOP). The HEOP program is for economically disadvantaged students from New York State who show academic promise. 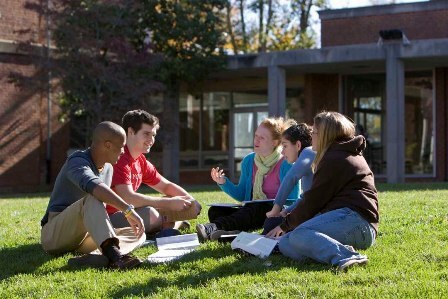 Prior to their first year at Barnard, HEOP students are required to take a 5-week intensive academic program, which includes math, science, literary analysis, writing, research, and computer use. The HSPP program helps fund these chemistry and math courses. Carleton College - Carleton Summer Science Fellowships The goal of the Science Fellows program is to encourage underrepresented students to pursue scientific research early in their careers. Students receive funding for a summer stipend, research supplies, and travel to conferences for at least 2 summers. They may conduct their research either at Carleton or at another institution. In addition, fellows participate in group meetings and activities before, during, and after the research experience and enroll in the 1 credit Science Fellows Research Colloquium both in the spring before and the fall following their research experience. Cornell University College of Engineering - LSAMP Undergraduate Summer Research Program is a summer research opportunity for students interested in gaining a deeper understanding in an engineering-related field. Students have the opportunity to conduct and present research over a 10-week period under the auspices of a faculty mentor. Haverford College - Haverford Summer Science Institute (HSSI) Coursework is the primary focus of this 5-week program, which is intended to introduce students to the rigors of college-level science courses in a safe and supportive environment. Their summer experience leads into long-term mentoring with faculty. Bi-weekly lunch-time presentations about campus resources and weekend recreational field trips round out the summer program. Lunchtime presentations 2 days per week about college resources such as summer research opportunities, campus life, career development, etc. Iowa State University - Academic Program for EXcellence (APEX) Each summer, APEX serves 40-50 incoming multicultural freshmen across all disciplines. Recently, the College of Engineering summer program, SPEED, combined with this program and is now known as APEXE. Oregon State University - LSAMP Summer Bridge Programs at OSU are designed to increase retention, engage students in academics, and build a sense of community among students and faculty. San Diego City College - 2012 Academy for STEM Success provided a 3-day summer program aimed at prepared incoming freshmen for STEM majors. The academy included training sessions in learning strategies, personal and professional development workshops, and events for networking and community building. The University of Alabama at Birmingham (UAB) - Alabama LSAMP Summer Bridge Program began in 1992, and is a 7-week academic program held at UAB for incoming freshmen in STEM majors who are accepted into Alabama LSAMP schools. Students take 6 hours of coursework per week, receive group and one-on-one career and academic counseling, attend weekly seminars on scientific and general interest topics, and attend a concluding conference. Concluding conference with guest speakers, student poster competitions, and awards ceremony. The Conference Program includes more details about the summer bridge program. University of Buffalo--SUNY - UB LSAMP Summer Research Internship Program This program provides research opportunities for undergraduates who have completed at least 30 credits, have a GPA of 2.8, and show a serious interest in STEM research. University of Hawaii at Manoa - Native Hawaiian Science and Engineering Mentorship Program (NHSEMP) Summer Bridge Program NASA JPL and Transfer Bridge - UH Manoa The Summer Bridge Program provides undergraduate research experiences at the NASA Jet Propulsion Laboratory near the California Institute of Technology campus in Pasadena, CA (not funded in 2013.) The Transfer Bridge - UH Manoa program is aimed at helping underrepresented STEM students who are transferring to the University of Hawaii Manoa. Students in this 10-week program conduct research and give presentations, take upper division STEM courses, and gain a sense of belonging on campus. University of Maryland, College Park - LSAMP Summer Bridge Program for Scientists and Engineers helps incoming freshmen students admitted to the A. James Clark School of Engineering transition to college by providing summer instruction in mathematics, chemistry, and software. Students take regular coursework and receive supplemental instruction. The program also includes seminars designed to promote academic success such as time management, test-taking strategies, etc. The program continues with a seminar course during the first academic year and additional support through the second year. Workshops for beginning calculus, chemistry, programming languages, and software programs such as MatLab, etc. During the fall and spring of the first year, students enroll in a 1-credit course, "Leadership and Scholarship, the Bridge to Effective Citizenship"
Vassar College - Undergraduate Research Summer Institute Established in 1986, this program introduces students to scientific discovery through high-level research with faculty supervisors. Building a community of scholars is one goal of the program. Activities include events during the summer such as weekly presentations and social gatherings, and a symposium in the fall to highlight research results.